Without salt, there is no life. Without salt, your muscles would not function, your ability to think would be impaired, your memory would fail and your heart would stop beating. Little wonder then that ancient civilisations believed that salt was as valuable as gold. And yet today salt is on every food fadist’s ‘most hated’ list. So much so that, ironically, as we have sought to reduce salt levels of our diet, we have allowed the unchecked rise of another food flavouring which is arguably much more damaging – sugar. Indeed the weight of research implicating excess sugar in the development of chronic disease is much more convincing than that of salt. The biggest worry from a health perspective is that too much salt could lead to high blood pressure. High blood pressure is responsible for many cardiovascular diseases that are the leading cause of death in industrialized countries. High salt intake has long been considered a risk factor, but not every type of high blood pressure is associated with high salt intake. The relationship between dietary salt intake and the development of hypertension, however, has been the subject of decades of lengthy and passionate debate. So wide are the variations in our responses to salt that researchers have been forced to create subcategories – “sensitivity,” “nonsensitivity,” “resistance,” and even “counterregulation” – to explain them. Because of this it is estimated that, overall, if all of us cut our salt use in half about 30% of the population would experience a slight drop (2-6 mm) in systolic blood pressure, while about 20% will see a similar increase in blood pressure, and the remaining 50% of the population will show no change at all. Excess salt has long been implicated in water retention and this imbalance of fluids in the body is believed to be a contributing factor for high blood pressure. For this reason we have long believed that the decisive factor is the kidneys. Our kidneys regulate how much water is retained in the body and how much is excreted and in this way help to regulate blood volume and therefore blood pressure. However, an interesting new study by US researchers, presented ahead of publication at a recent Molecular Medicine conference in Berlin on September 7, has shed new light on the issue. The researchers aimed to find out why excess salt intake doesn’t always produce high blood pressure. What they found was that the body’s reaction to salt is more holistic than we could ever imagine. When our sodium levels exceed what the body needs, the excess can be stored in the connective tissue of the skin. According to the researchers, the sodium concentration can be higher in the skin than in blood. This means the kidneys are not the only body system involved in regulating sodium balance. The immune system plays an important role in this mechanism. A specific type of immune cells, the macrophages – literally “big eaters” in Greek – recognise high sodium levels in the skin. They subsequently activate a gene that in turn ensures that a substance called vascular endothelial growth factor (VEGF-C) is released in large amounts into the skin. VEGF-C controls the growth of lymphatic vessels that transport fluid and sodium. If this factor is released in higher amounts, lymphatic vessels grow into the skin and ensure that the stored sodium can be transported away again. The discovery of what is called a ‘nonosmotic’ regulatory system within the body for salt is not new and it begs the question of why we continue to beat the same old drums, and spend untold millions on research and salt restriction campaigns rather than tackling the obvious question: If salt isn’t the cause of hypertension – what is? Clearly we need some salt in our diets to remain healthy. This raises the question of whether the body might recognise some forms of salt as healthier than others, something that has received scant attention by science. 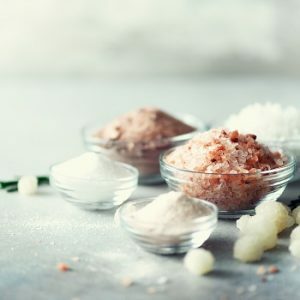 There are three basic types of salt most of us can buy – standard table salt, sea salt and rock salt – and within these three categories there are numerous variations in terms of source and chemical make-up. It may be helpful to think of salt in the same way you think might think of of sugar. Refined sugar contains none of the trace elements (very low levels of both essential and non-essential minerals) and cofactors necessary for health that unrefined sugar does. These trace elements and cofactors are also useful in helping the body metabolise sugar better. Without them sugar is just calories. Unrefined salts, whether mined from the earth or harvested from the sea, contain a broad spectrum of trace elements, often in the same balance as are found in human blood. These include magnesium and potassium, necessary for health and which help the body metabolise the sodium better. Indeed, potassium and magnesium work synergistically with sodium to regulate water balance and nerve and muscle impulses. The more sodium you eat, the more potassium and magnesium – generally found in abundance in fresh fruits and vegetables – you need to maintain balance. Few of us get enough of these elements in our diets, yet we continue to consume high amounts of sodium via salt. Refined, industrial grade table salt, on the other hand, has had all of these trace elements removed. It is pure sodium chloride, with an anti-caking agent and, in some cases, iodine added in. If the concept of table salt as an industrial product is startling, consider that like so many of the food products we use, the popular form that ends up in the marketplace depends on what is most profitable for industry. Currently, only around 7% of the salt produced globally goes for food; the other 93% goes to industry, which requires chemically pure sodium chloride for the manufacture of explosives, chlorine gas, baking soda, fertilisers and plastics. The addition of iodine to table salt is a real problem and makes the ‘simple’ table salt so many of us rely on little more than a poison. In 1995 the World Health Assembly adopted the concept of universal salt iodisation (USI) – adding iodine to salt for human and livestock consumption – in order to eliminate iodine deficiency disease (IDD) and related disorders such as goitre, cretinism, myxedema in adults and neurological disorders in children. As a result countries around the world routinely require all salt to contain added iodine (apart from kosher salt, which contains no additives). The problem is that iodising salt is a crude form of prevention more appropriate for those living in conditions of famine. People eating a relatively well-balanced diet are not at risk of iodine deficiency because iodine is widely available in sea fish, shellfish, eggs, cereal grains, legumes and dairy products (in fact raw milk is richer in iodine, pasteurisation destroys around 20% of milk’s iodine content). Certain food additives also contain iodine. 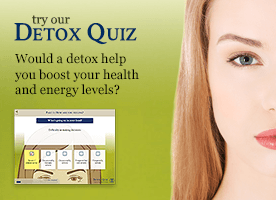 But there are also hidden sources of iodine that mean most of us get too much. These include cough expectorants, antiseptics, certain drugs such as sulphonamide, lithium, dopamine, steroids, aspirin and certain heart and antidiabetic drugs. Natural supplements such as kelp and seaweed also contain high levels of iodine. Enforced medication with iodised salt adds greatly to our iodine intake, and as a result people in the West are more at risk of iodine overload. As much as 75% of the body’s iodine is stored in the thyroid gland and is used for the production of hormones that regulate metabolism. Too much iodine and levels of these hormones can become dangerously unbalanced, leading to metabolic as well as immune disorders. In Galicia, in Northwest Spain, where iodised salt is mandatory, there is an abnormally high incidence of hyperthyroidism (an overactive thyroid), particularly among women. In Japan and the US, where intake of iodised salt is highest, the problems of too much iodine are responsible for health problems such as including thyroiditis (inflammation of the thyroid) and hyperthyroidism which can, ironically, produce increased heart rate, higher blood pressure and abnormal heart rhythms (arrhythmias) as well as excessive sweating, hand tremors (shakiness), nervousness and anxiety, and difficulty sleeping (insomnia). As with everything you put in your body, it is worth paying greater attention to our salt choices. Better choices include mined or rock salt and sea salt – as long as they are unrefined. The labels on salt packaging aren’t always clear in this regard. If you look at the ingredients and the only thing on it is sodium chloride, however, then you know that your so-called ‘healthy’ natural salt is just as refined as regular salt. Unrefined salt is generally not the pure white colour that most of us are used to; it tends to be off-white, or pink – like the rose-coloured crystals of Himalayan rock salt, for instance – or grey as in Atlantic or Celtic salt. Some sea salts also take on unique tints from the clay pans in which they crystallise, the colours hint at the minerals within. In fact, genuinely unrefined rock salt can contain more than 90 different trace elements. Unrefined salt without an added anti-caking agent also tends to clump over time as it absorbs moisture from the air – so it can‘t be put in dainty salt-shaker. But its chemical make-up is far more balanced than that of industrial salt, though, and some nutritionists believe it is as healing for our bodies as table salt is damaging, though there is a frustrating paucity of research to back this up. The advice for anyone in a salt dilemma is simple: ‘bad’ salt is bad for you – and too much of any one thing in the diet can cause serious nutritional and chemical imbalances. So when choosing, opt for an unrefined salt, and use it only occasionally as a seasoning. The recommended upper level of 6g of salt daily is equivalent to approximately 1 teaspoon; most adults consume around 8-10g of salt (appx 2 teaspoons) daily without ever realising it. As much as 75% of a person’s dietary intake of salt comes from processed food such as bread, breakfast cereals and pastry products, and manufacturers have been slow to reduce salt in their products or to make their labelling clear. For instance, most food labels do not show how much salt is in a product – and most of us don’t know how to make sense of the information that is there. When information is provided, it is often listed as ‘sodium’, which must be multiplied by 2.5 to give the amount of actual salt, although some manufacturers now list the ‘salt equivalent’ and relate this to guideline daily intakes for adults. Don’t automatically add salt at the table. Taste your food first and make an conscious decision to salt – or not. Stop eating preprepared meals and snacks. These are by far and away the greatest source of hidden salt in our diets. Be aware also of what you are eating from day to day. A range of foods, such as smoked meat and fish, are naturally salty, so you don’t need to add more. When you cook gradually lower the amount of salt each time you cook, so your palette eventually gets used to less. Eventually you will have weaned yourself off the taste for highly salty foods. You can also pep up the flavour of a meal by using herbs and spices (garlic, ginger, lemon grass and so on) creatively. Staple foods like rice and pasta don’t need extra salt, especially if you’re going to eat your meal with a meat or cheese sauce that will already naturally contain some salt. Could low salt diets create more problems than they solve?